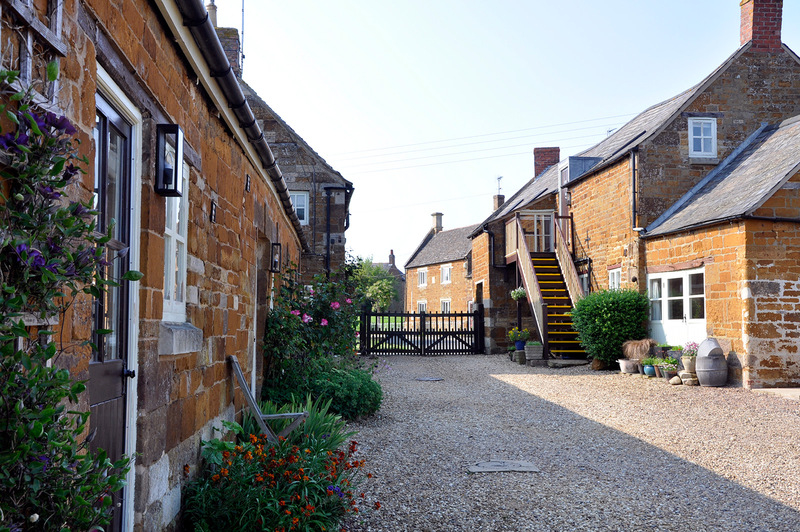 Perfectly situated for your visit to Leicestershire, Northamptonshire & Rutland. The Old Plough offers Self Catering and Bed & Breakfast accommodation in Caldecott. Situated near the town of Corby, we are perfectly placed for your visit to Leicestershire, Northamptonshire or Rutland. The self-catering options include The Snug that has 2 twin beds, The Parlour that has 1 double bed and an additional 2 singles, and The Barn which has one double bed and single bedroom, with room for one more bed. The Snug , Parlour and Barn are fully self-contained with excellent facilities throughout. All accommodation comes with Wi-Fi. Our Bed and Breakfast accommodation include four twin rooms all with en-suite. Two of which have kitchenettes and the other two come with microwaves and fridges. The extensive gardens and orchard leads, to the rolling fields of the Welland River Valley with a splendid view of Rockingham castle. The castle just over a mile away is situated at the top of the hill and is well worth a visit. Ideal for touring holiday breaks and short term working contracts. Our self catering accommodation offers you fully furnished apartments and long term lets for that extended stay. The all en-suite Bed and Breakfast accommodation include four twin rooms. We are able to cater for the single traveller or a family group of 3 to 4 people. Full English and Continental Breakfasts available to all customers if required. Food can also be provided for self preperation in your own room if you prefer. The apartments feature inbuilt kitchens or kitchenettes, with all you will need for a comfortable stay, stocked with plenty of Tea and Coffee. We have a large parking area behind a closed gate so your car will be safe overnight. We have enough space for 10 cars, plenty of room for all guests. All of our guests are free to enjoy our garden while you stay with us. We have both lawned and patio areas, where you can enjoy the amazing sunsets over Rockingham Castle.